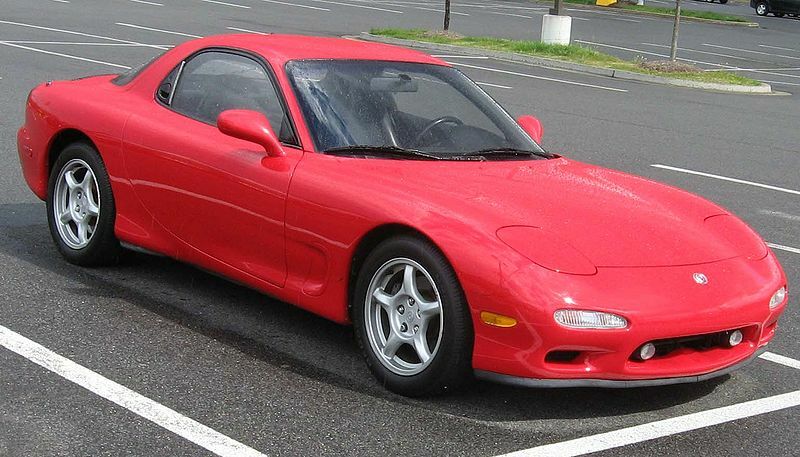 The Mazda RX7! Mazda has long been a proponent of the Wankel rotary engine design used in the RX7 and its kin, but this was the first car to achieve mainstream success, a reliable track record, and popular following, paving the way for the modern and much-loved RX8. The Wankel engine featured in this vehicle is brilliant because it has so few moving parts and takes up so little space. It’s power-to-fuel-economy ratio is strong, its form factor is tiny, and it’s big on fun, making it a clever implementation of an even cleverer design. This car is certainly to Mazda’s credit. This car has roots in the 60s, but really came into its own in the 80s and 90s, when it became the first car with a specific and unusual feature to garner major commercial success. Pictured here is the third and final generation, early copies of which are just turning 20. A Citroen DS19! 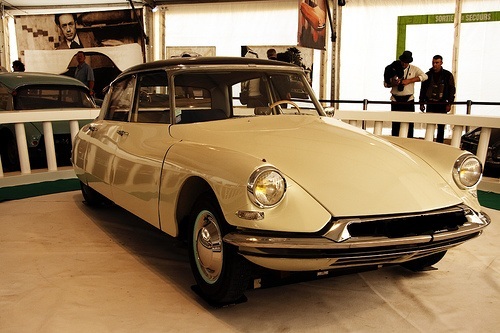 Truly a car that took the world by storm, Citroen received ten times the number of orders it had anticipated at its debut in 1955 at the Paris Auto Show. The car showcased many novel features for its time including power windows and power steering (among others), but its true innovation was the hydraulic system underlying most of the operating aspects of the vehicle. The hydraulics served as motivation for the power windows and steering, but also the suspension, widely considered a revolution in the trade-off of ride comfort for handling. To this day, a late and well-kept example can sell for six figures. But any model from its two decades of production can make a unique contribution to a collector’s garage, as it did to the modern automobile industry. As always, for more on collector cars, classic cars, and classic car insurance, visit Condon Skelly. What makes today’s mystery collector car special? A number of engineering feats for its time that still challenge us today. Admittedly, the car is a bit iconic, though much less for Americans that elsewhere. What is this classic, and how is it unique? Check back next week to find out. Though antique pickup trucks make for great collectibles, there aren’t many around that remain in good enough condition to be properly restored. This is likely because of the hard work for which they are typically used. Most car enthusiasts take a different approach – the custom. Low-slung bodies, smooth lines, and big power are the hallmarks of this movement, usually with a bit of flare. Check out some of the interesting trucks we’ve seen lately.